September | 2009 | Ipoh Mali Talak Sombong! 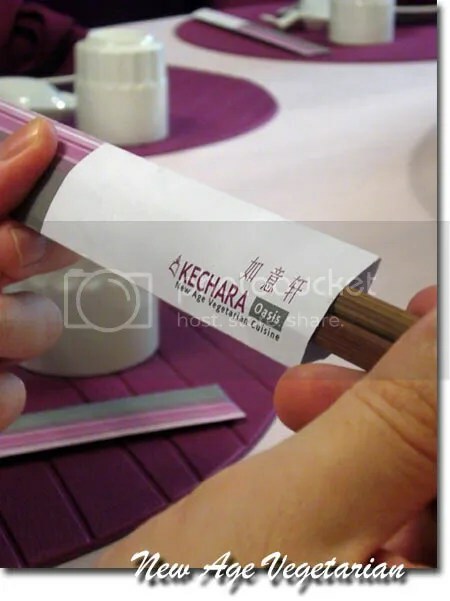 While many vegetarian restaurants in town prepares their food based on the local tastebuds and are usually cater to the lower to middle class range, Kechara Oasis brought vegetarian dishes a notch up the scale. 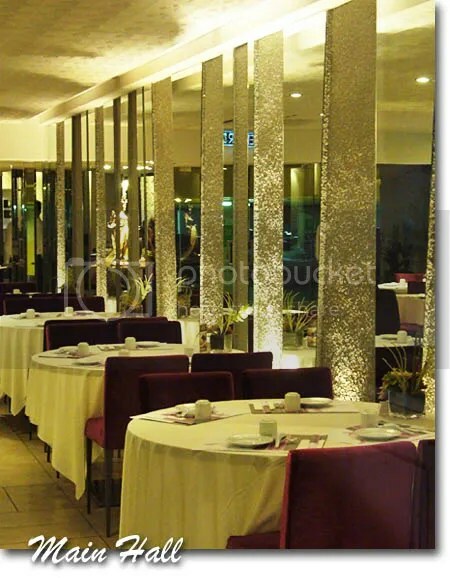 The newbie in Jaya One, PJ serves vegetarian dishes with a touch of Tibetan, Chinese, Vietnamese and Nepali in a fine dining concept. CK and me were there 2 months ago with KampungBoyCityGal, Ivy Ai Wei and VKeong (finally able to meet up with Vkeong in person!) upon invitation from Kechara Oasis’ management. After we were ushered into a private VIP dining room, we were served the exotic Tibetan Butter Tea (RM 12.80 per litre) which is kept warm in a flask. 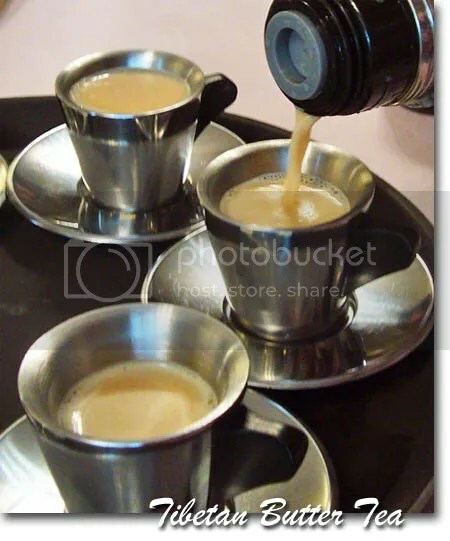 Also known as “pho cha”, Tibetan drink the tea to provide energy and to warm their body in high altitude. We were warned beforehand that we might find the tea too exotic for our tastebuds but surprisingly, we found it to be very acceptable. The tea was smooth, buttery and a little bit salty at the same time. Best to have it while it’s still warm or the greasiness might get to you when it’s cooled. 5 Mandala of Prosperity (RM 58 for small, top left) is a platter of skewered BBQ “pork”, butter mushrooms, “luncheon meat” and stir fried snow peas with lily bulbs. The BBQ “pork” were rather good. 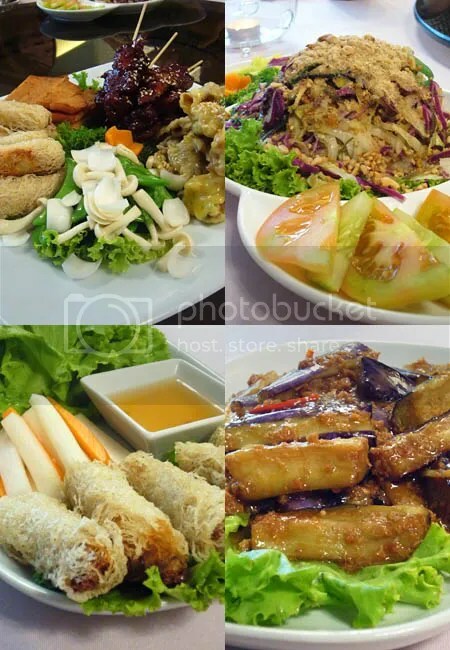 The Kechara Salad (RM 38 for regular portion) taste very similar like the Chinese “yee sang”, Vietnamese Spring Rolls (RM 13.80) and YuXiang Eggplant (RM 20). The eggplant with minced mock meat and bean paste was quite good and flavourful but IMHO (in my honest opinion), it’s rather pricey. 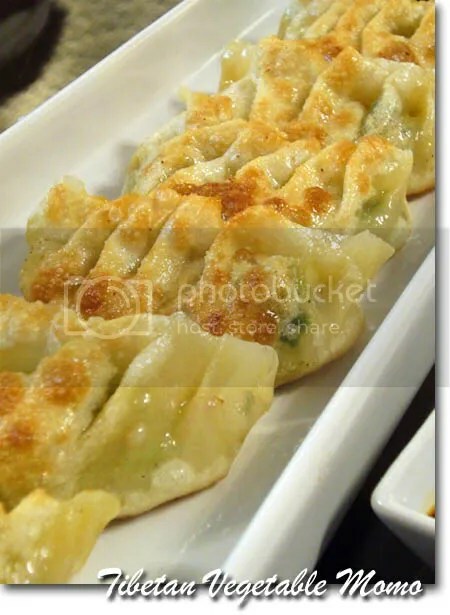 I personally like the Tibetan Vegetable Momo (RM 21), which were firstly steamed, then pan fried till golden. The skin wasn’t that thick despite its appearance. The filling was rather bland but juicy. Try dipping them into the accompanied chilli oil. 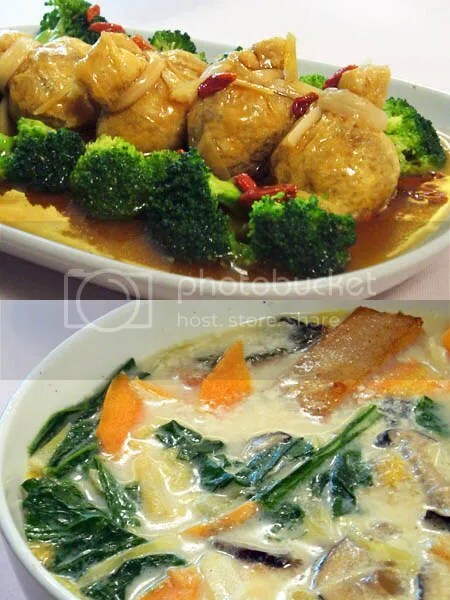 Everyone loved the Golden Pocket with Broccoli (RM 20, top pic) as the filling was juicy and flavourful; the Fish Head Meehoon (RM 20) was cooked in a healthier way by substitute vinegar with sour plum. I don’t quite like it as they also add in preserved vegetables in it. The level of sourness is adjustable upon request. Another crowd pleaser dish, Kechara Oasis’ Fried Chicken (RM 17) was a delight in every bite. The texture and taste replicates the real stuff very well and if I’m to be blindfolded, I don’t think I could tell it’s vegetarian. Kudos to the chef for the great job! Their vegetarian dessert were pretty impressive too. 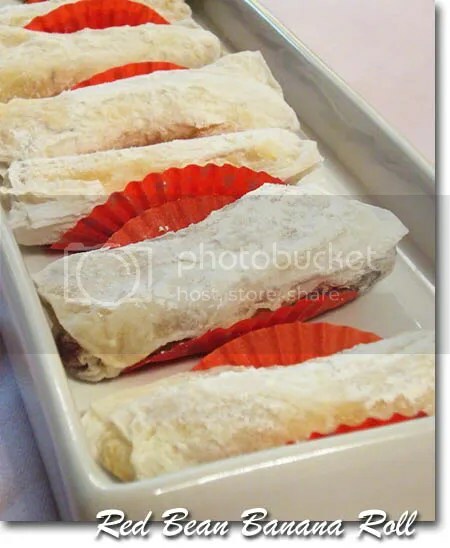 A simple one such as this Red Bean Banana Roll (RM 10) is perfect for those who wanted something not too sweet. The red bean layer compliments the banana slices very well. 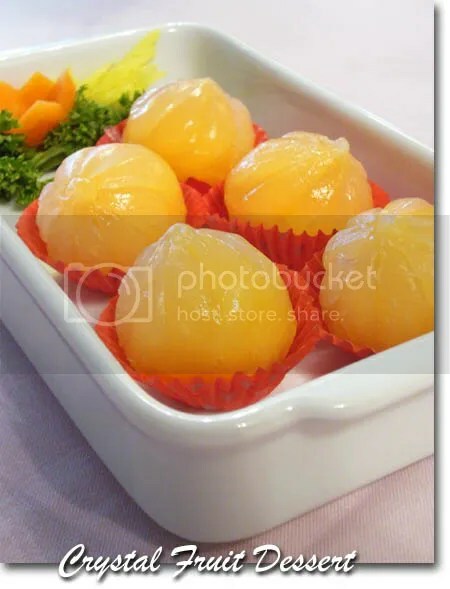 And lastly, some Crystal Fruit Dessert (RM 10). The rest find it tastes like custard inside but I think it’s made of mug bean (green bean). Overall, I find the dishes were rather okay, with some hit and misses but a refreshing new concept apart from the usual local-influenced vegetarian fare. The price might be on the high side, but considering that the profits goes to Kechara House and Kechara Soup Kitchen (a charity community programme dedicated to provide food and medical care to the homeless folk in Klang Valley), I think it’s worth every cents you paid. 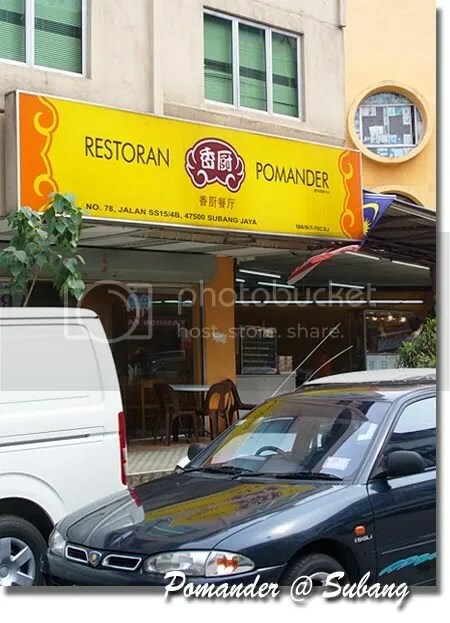 *Notice: They changed the name of this coffee shop to Ooi Noodle House. The pork noodle stall is still in operation. My first entry after my hard disk incident. 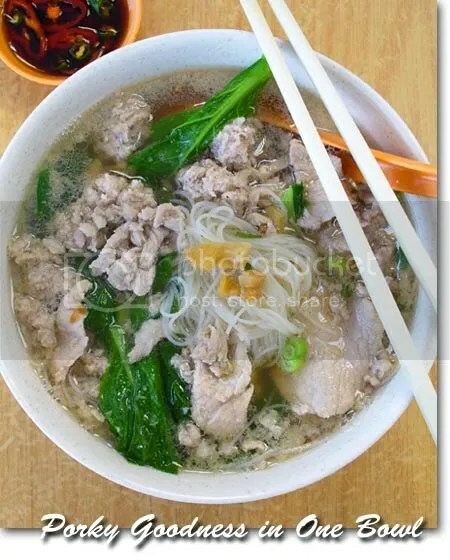 Luckily I still keep some of the latest photos in my camera, so I was able to share this delicious pork noodles in Subang Jaya with those who hasn’t heard of this place yet. My housemate is a big fan of pork. 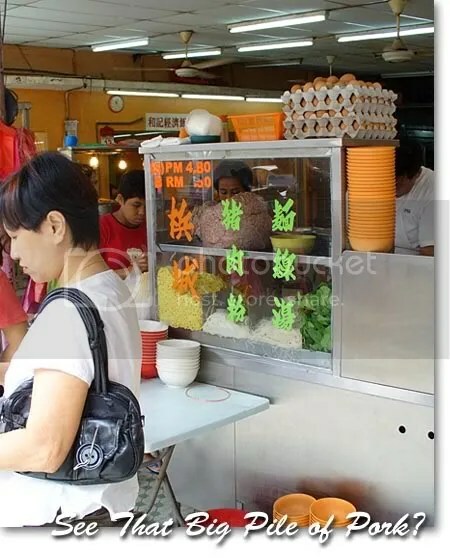 He once worked in Subang area before and raved about this very good pork noodles which was situated near Carrefour. The stall then moved to its current location at SS15 but he doesn’t know where they shifted. Luck smiles on him when he accidentally discovered the stall’s new location on his GPS the other day! He warned me beforehand that the owner cooks the noodle bowl-by-bowl and not in batches, or multiple pots so it would take up to 45 minutes for our orders to arrive. And true enough, we actually waited for almost 40 minutes for the noodles! A regular bowl of noodles of your choice with minced pork, intestines, pork liver, lean pork, vegetables and a sprinkle of deep fried lard crisps costs RM4.50 and large at RM5.50. The soup was sweet from the long hours from boiling of pork bones and meat, very flavourful. No evidence of MSG as we didn’t feel thirsty after the meal. 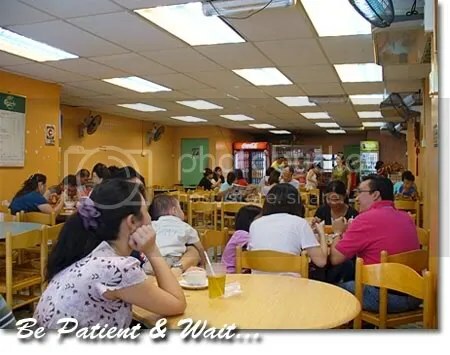 There are other stalls selling chee cheong fun (CCF), chicken rice and some pastries such as egg tarts here as well, so you can order something else to munch on while waiting for your noodles to arrive. 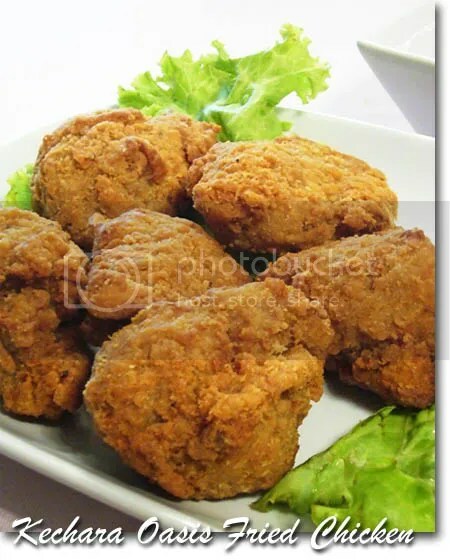 Read also entries from Masak-Masak, BlueePinkk, Lots of Cravings and LessThanTen. Just thinking of updating you, that my hard disk drive crashed last Sunday when I was trying to edit some photos for the next post. I didn’t do any back up before this (DVD writer was faulty and I didn’t bother to replace it), hence all my photos taken in the past 2 years (food/travel/gathering etc) and music files were all gone in seconds. *heartache heartache* >_<"
I would take it to my friend for diagnose and if possible, try to recover the files *fingers crossed*. In the meantime, there won't be any post on Guilin. 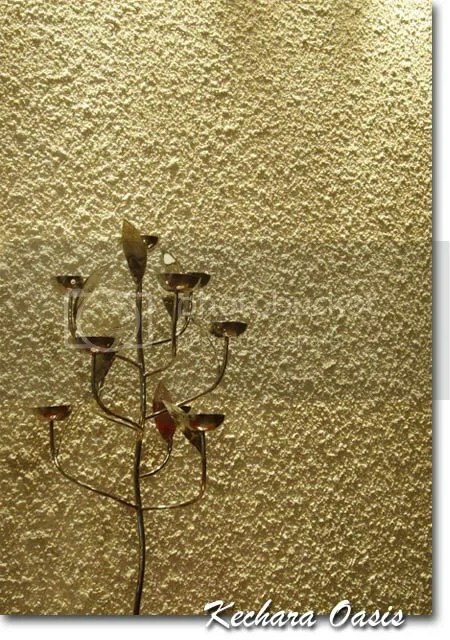 I will still try to post some updates with another computer (need to learn how to edit photos with Adobe Photo Elements), so do come back once a while to see what's new in the house.